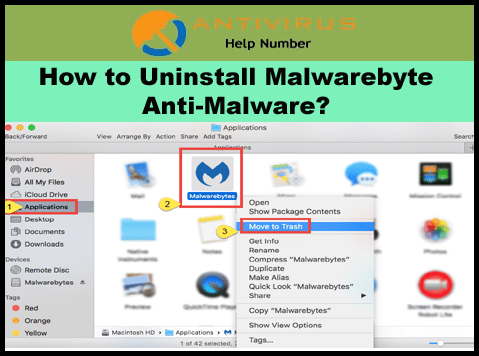 How to Uninstall Malwarebyte Anti-malware: Malwarebyte is anti-malware software which scans malicious software, adware, spyware and rogue security software and removes it completely. 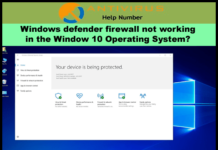 It works on Microsoft Windows, macOS and Android. 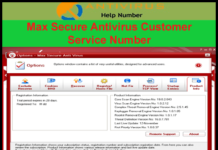 It is a heavy anti-malware which takes more resources of system or device to run properly in the system. If your Malwarebyte is creating any problem in your system like- system’s efficiency going down, software running very slow, system not working properly etc. then you should remove or uninstall it completely from your system, because it can create problem to other programs. We are providing a simple method to uninstall your Malwarebyte from your system. Step1. First you should click on the start button. Step2. Search control Panel and click on it. Now you will see a window same as given below. Step3. 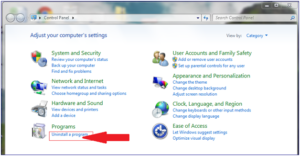 Click on the Uninstall a program, which is highlighted in the above figure. Step4. After clicking on the link, you will reach a new programs list in which all the programs run on the system. Step5. Select the Malwarebyte program which is highlighted in the above figure. Double-click on the Malwarebyte file. Step6. It will show an alert message same as given below. Step7. It will take about to 20 seconds then complete and show a message, that your uninstalling has been finished. Generally, your issue will be fixed by above article. But sometimes there are some other problems left in your system. That’s why uninstalling not finished completely. 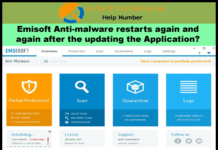 If you are facing same type problem, you can consult with Malwarebytes Antimalware technical Support system by Email, voice call, chat and so on. They will provide you valuable information related to your issue.